The Repton chair family consists of a traditional upholstered side chair and armchair. Can be finished with an oak stain or kept raw beech. Upholstery options available. 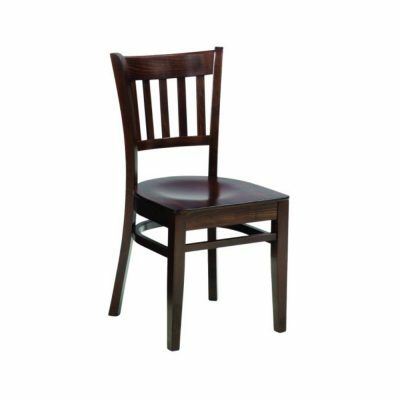 Traditional side chair with cut out back rest and upholstered seat pad. Available in your choice of fabric. 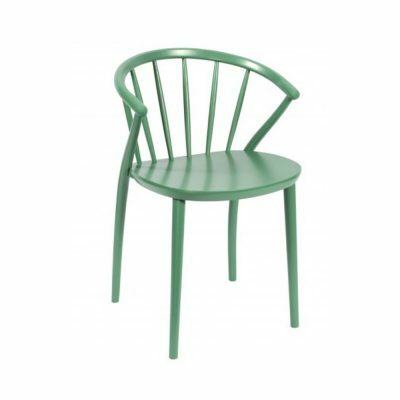 The Hendon Chair is a perfect side chair for traditional environments. 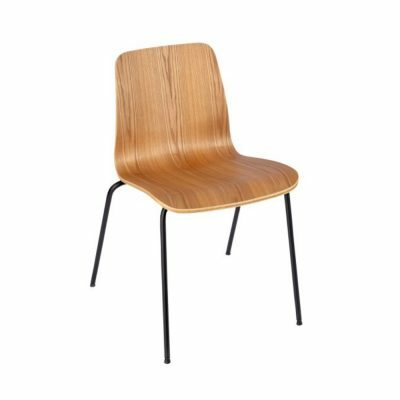 This veneered wooden chair can be kept raw or finished in an oak stain. 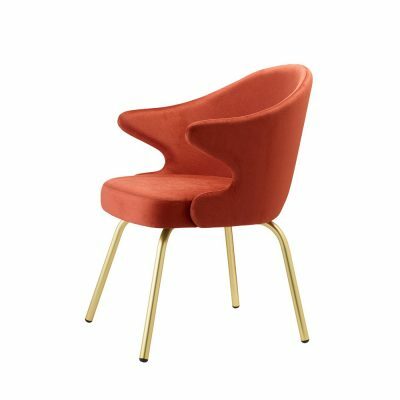 The Wave chair pair come with either an upholstered seat version or a upholstered seat and back rest version. 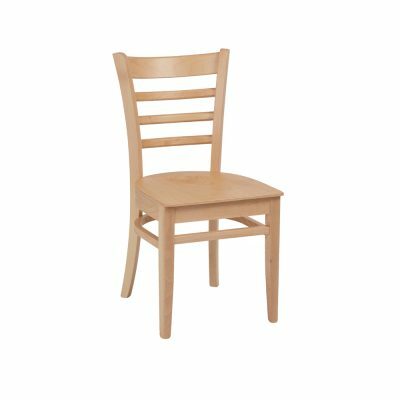 The solid wood frame can either have a raw finish or an oak stain making it an essential for a cafe/pub environment. 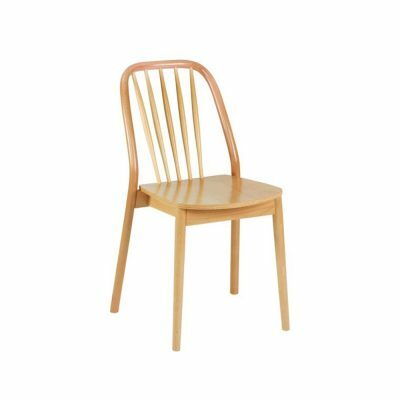 A high back spindle side chair made with solid beech. 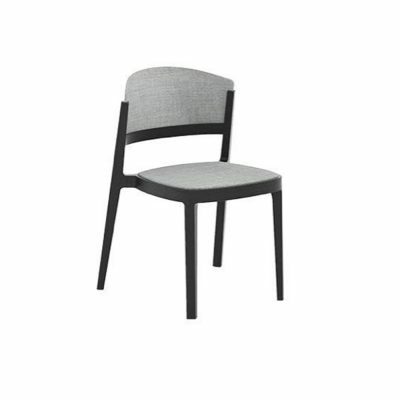 This minimalistic spindle chair is perfect for a cafe/pub environment. 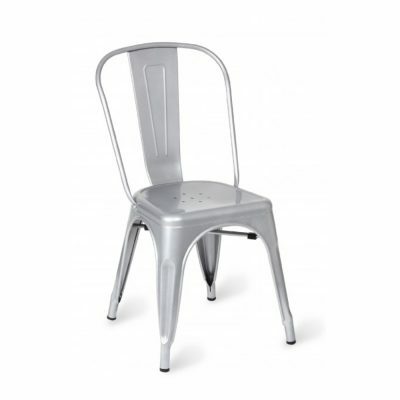 A pair of side chairs with either steel or wooden legs. 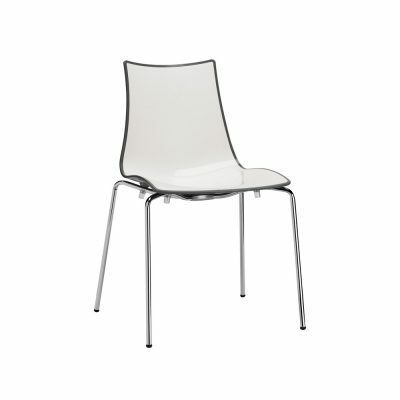 Wooden leg version has a steel frame finished in either white or clear EPC steel. Seat and back rest can either be finished with a clear lacquer or raw. 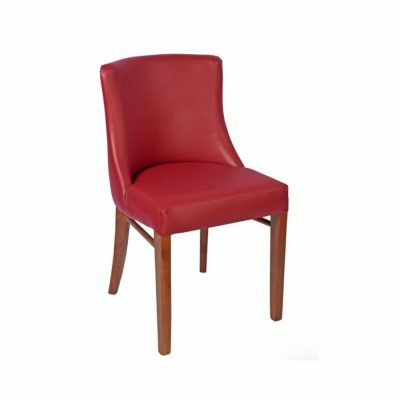 A side chair and armchair with a solid beech frame and veneered seat pad. 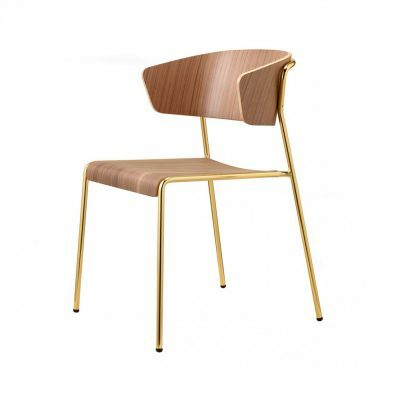 Available in raw or with a polished walnut finish. 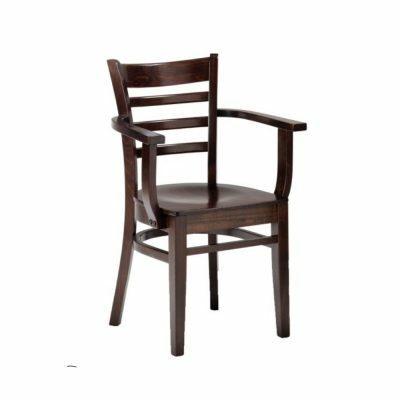 A side chair and armchair with a solid beech frame and veneered seat pad. Available in raw, natural or walnut polished frame. 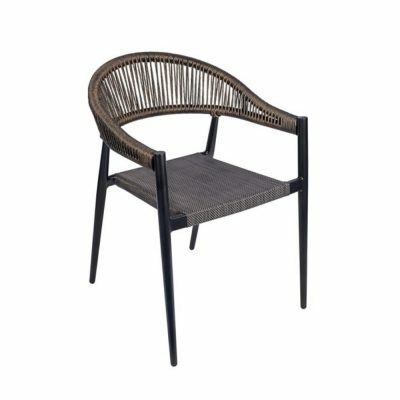 A side chair and armchair with a EPC aluminium frame finished in bronze and a weaved resin back rest. 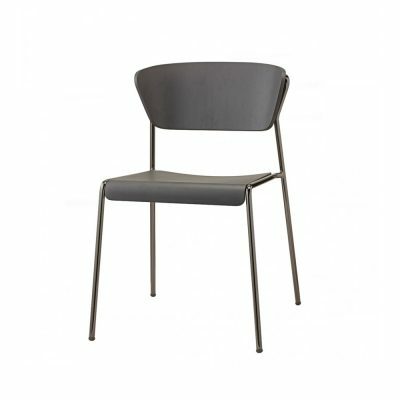 The Vienna chair family are stackable up to 4 units and as essential for cafe and pub environments. 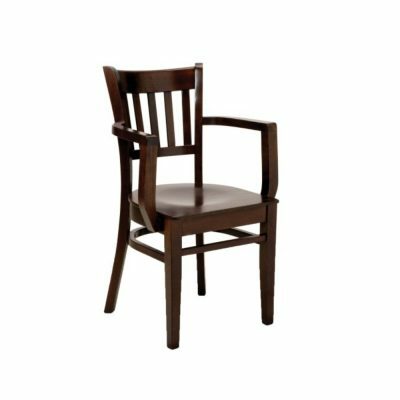 The Chiltern chair family include a fan back and a cross back side chair. Seat and legs made from beech veneer and can be stacked 4-6 units high. 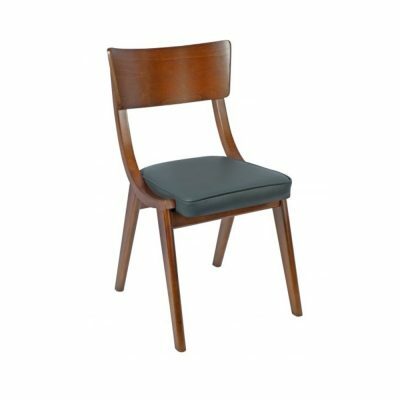 Fully upholstered beech chair in your choice of fabric. 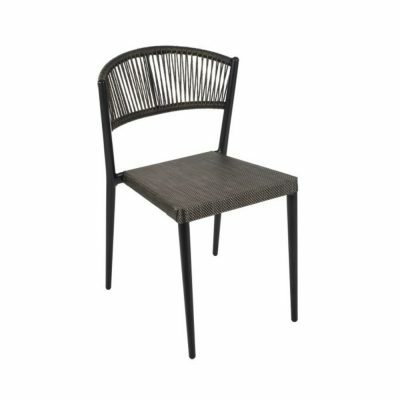 4 leg beech option or embossed black painted die-cast aluminium 4 spoke Loop Spider base D640mm with swivel mechanism. 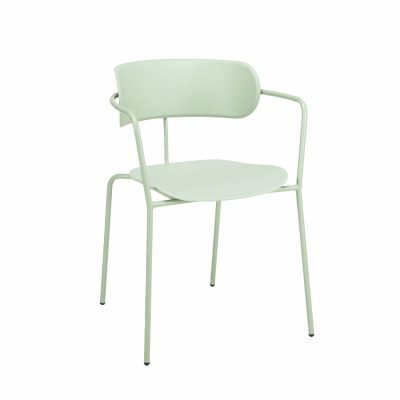 Polypropylene Armchair available in either black, pastel blue or pastel green. 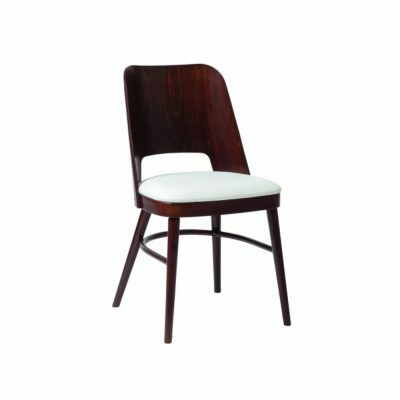 This stackable chair is at home in a vintage or rustic hospitality interior. Barbican Armchair can also stack 4 high. 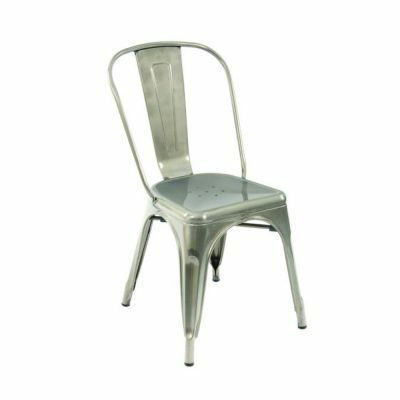 The steel vintage Paris Chair is available in either gunmetal, grey or vintage copper. Solid ash seat pad also available with a circular seat indentation. The Carlotta Side Chair is a simple yet aesthetically pleasing stacking chair. 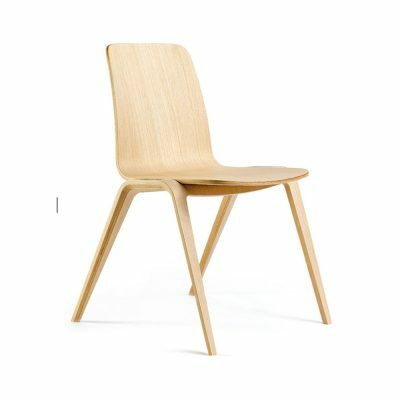 This spindle chair is made with solid beech with a raw finish. 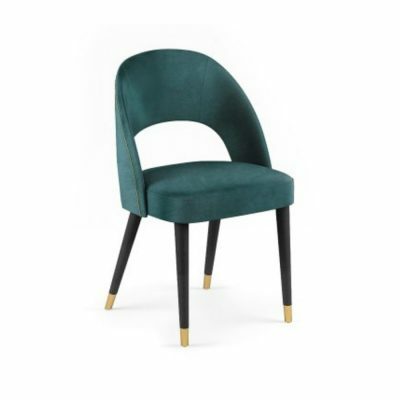 Every contract and hospitality venue needs a Carlotta Side Chair. 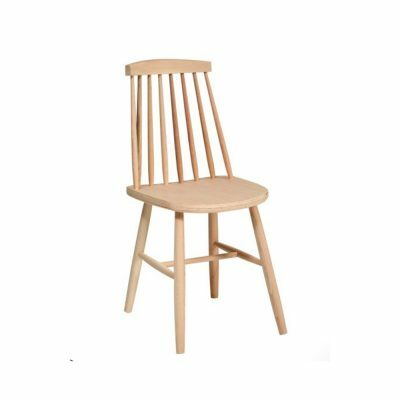 The Camborne Armchair is a Scandinavian inspired spindle armchair with a solid beech frame and seat. 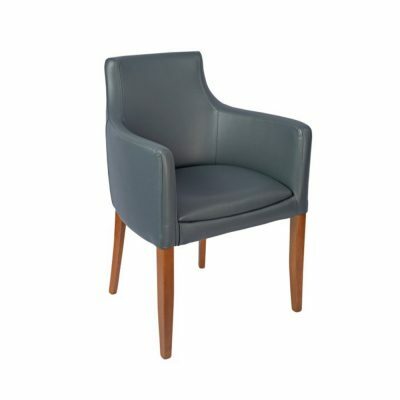 The perfect armchair for your contract or hospitality environment. 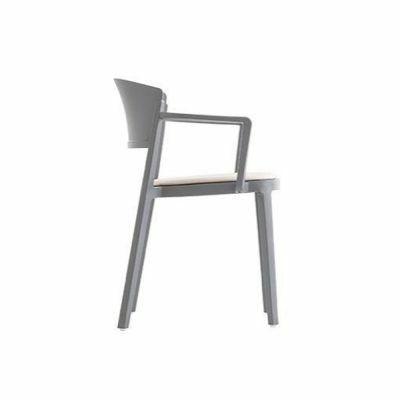 The Copenhagen side chair is available with either a sled base on a 4 leg base. 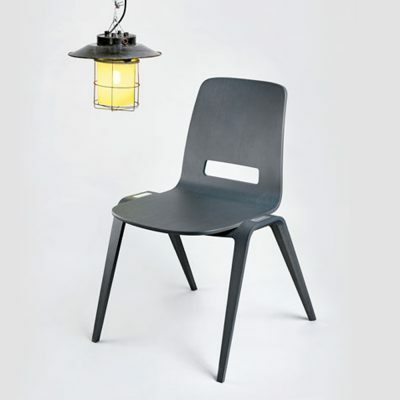 Seat can either be in black, lacquered ash or raw ash. 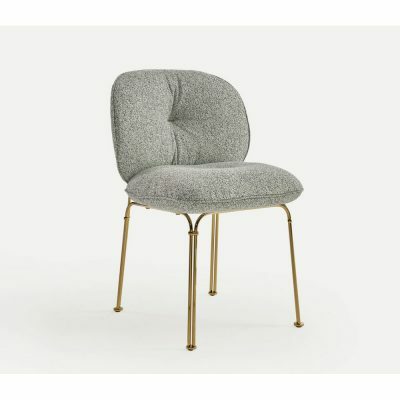 The Bliss 01 Chair range features an upholstered shell with an option of 11 different base styles to suit all your contract and hospitality needs. Upholstery available in your choice of fabric. 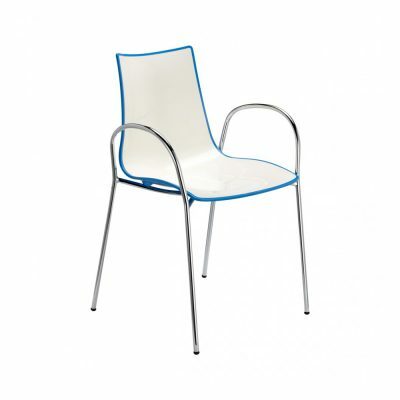 The Zebra Bicolour chair with 4 leg frame features a two colour polymer main body with a white polished inner side. Available in 4 colour choices and is stackable. 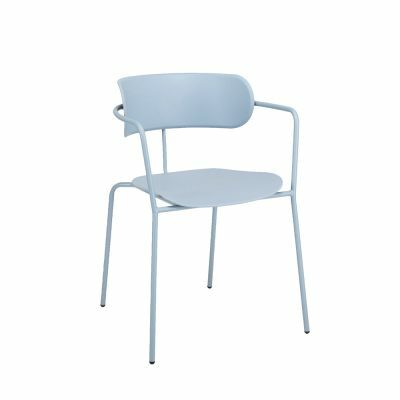 For outdoor use a white coated steel frame is available. 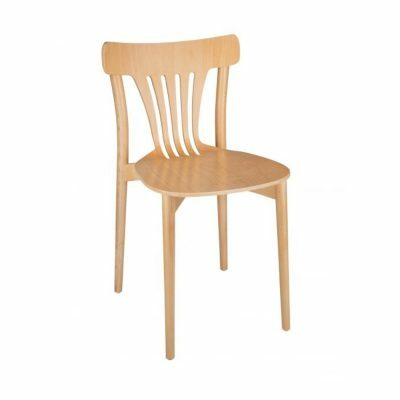 The Abuela Chair range are functional and versatile solid beech chairs. 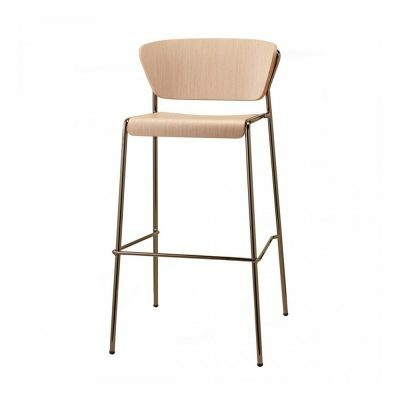 They feature a clean wraparound design, a winning combination for all your hospitality and commercial settings. On the outdoor version of the Abuela collection, delicately soft injected tecnopolymer details mirror the solid wood joints of the indoor version. The Entree family is a contemporary family defined by their curved features. 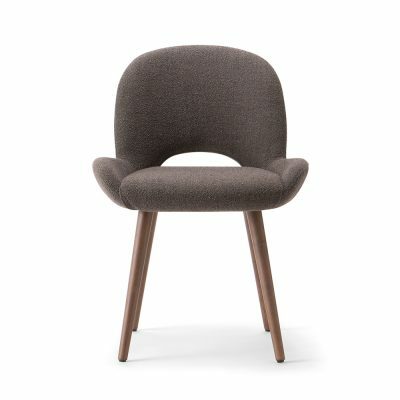 The Entree chair is made from beech features a round, upholstered seat and back rest. Available in your choice of fabric. 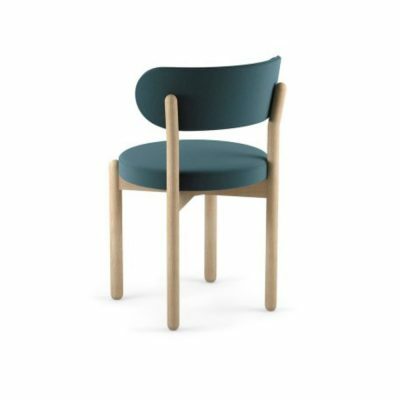 The next chair is a combination of plastic, steel, and wood: three materials in a single, extremely elegant product, winner of the Good Design Award in 2014. Outdoor version is also available. 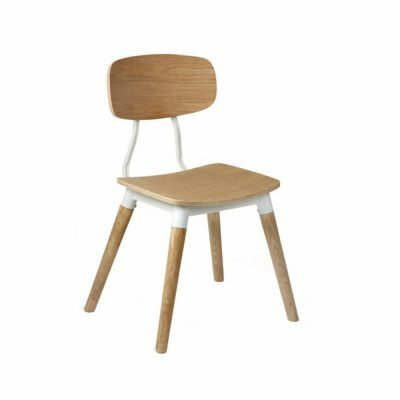 Woodstock is an entirely plywood-oak made chair, charming and practical. A minimal design and with a rock spirit, this model is studied to guarantee a high stackability. A family of 4 chairs all sharing the same structure. The difference is, the back rest. The 20’s, 30’s, 40’s and 70’s back symbolise designs of the decades. 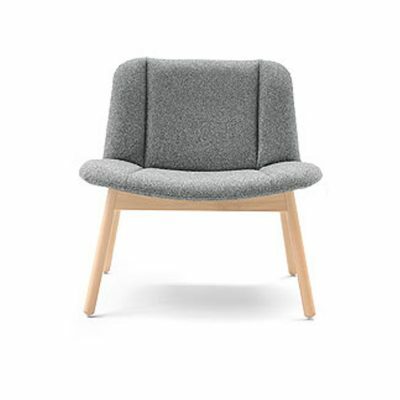 The Silla 40 combines an upholstered seat and back with ash feet and arms. The wood is available in any colour from our range of ash stains, and any fabric can be chosen from our entire collection. 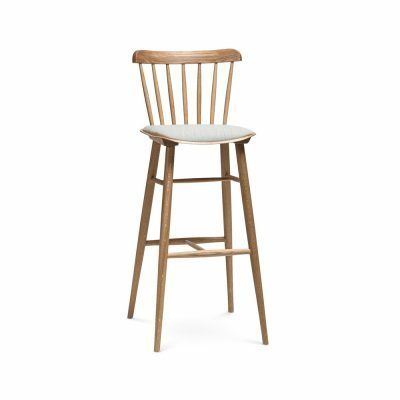 The Tea Chair is a light and soft chair with slender oak legs. 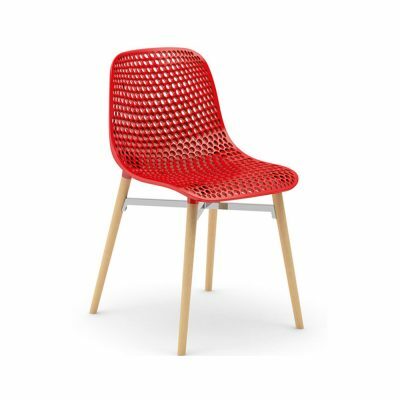 The curved shape of the back is supportive yet flexible, thanks to the injected polyurethane. 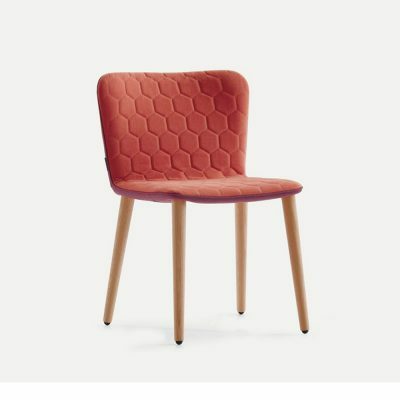 As well as the rest of the Tea Collection, the chairs incorporate hexagonal quilting and the possibility of creating both bi-coloured pieces. Beech feet are also available. 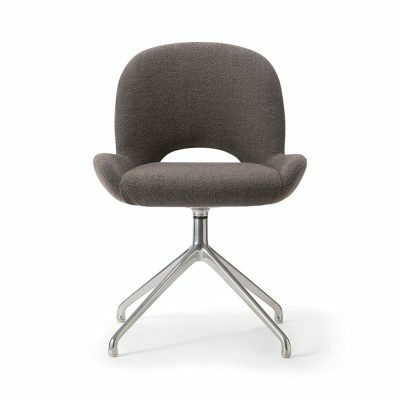 The Mullit Chair is described as ‘a cushion with legs’. 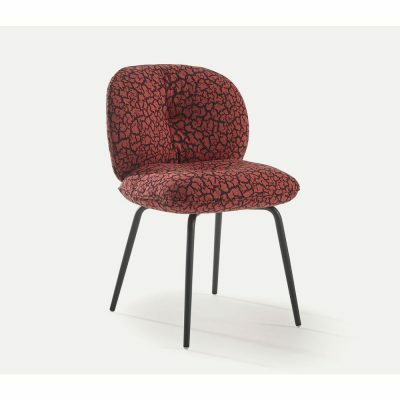 A chair that combines aesthetics with comfort. 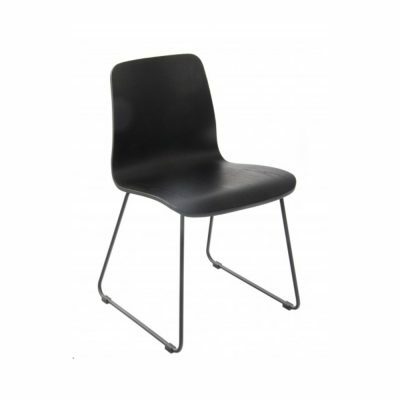 Available with either wooden or metal legs and wheel version available. 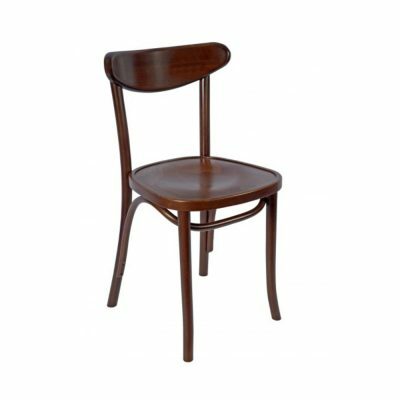 A spindle style dining chair with a bent wood backrest and curved wooden seat. 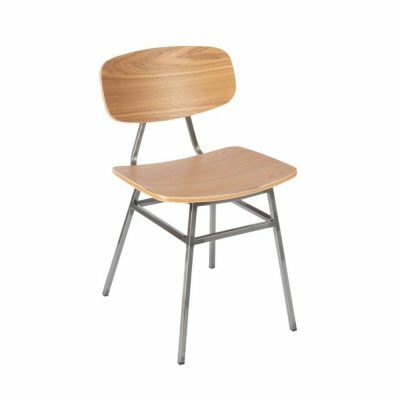 Available in either beech or oak. 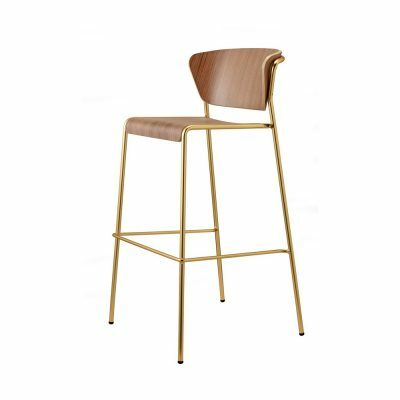 The Lisa high stool is inspired by the elegant interiors of the 1950’s and 60’s. 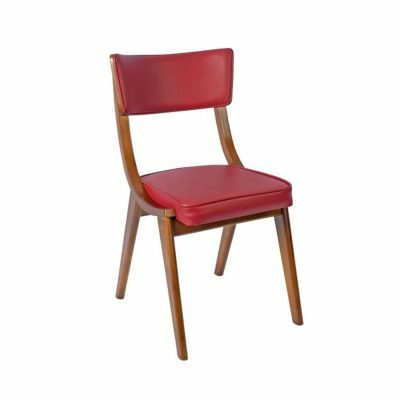 The slimline tubular structure envelops and supports the backrest of both the armchairs and chairs, featuring a padded or wooden seat. 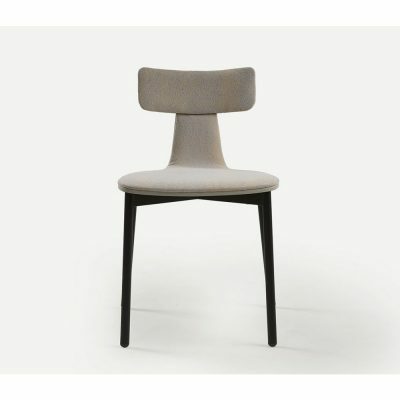 Lisa fits effortlessly into any contract or household setting thanks to the use of sophisticated finishes and materials. 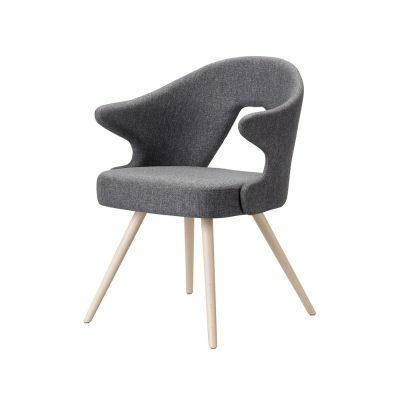 Armchair and chair with wooden legs and upholstered body. Solid beech legs. Seat and back in either fabric or leather upholstery. 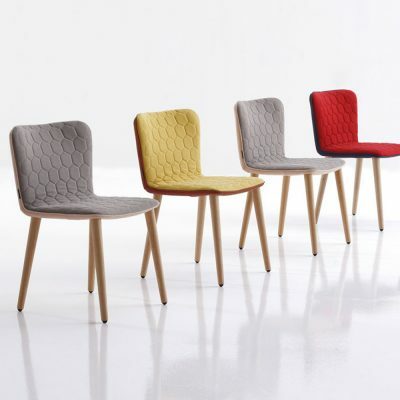 Customizable seat and back with different or contrasting fabrics. 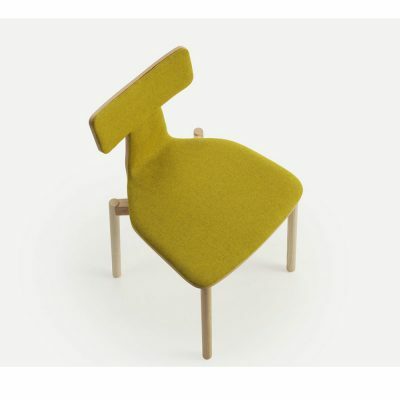 A collection of upholstered seating, a play between stitchwork, sculpted mass, and measured attention to thicknesses. 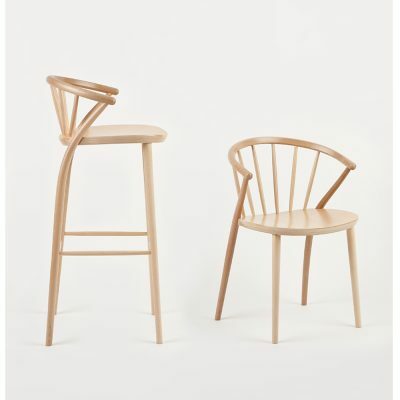 A collection comprising chair, lounge and highstool. 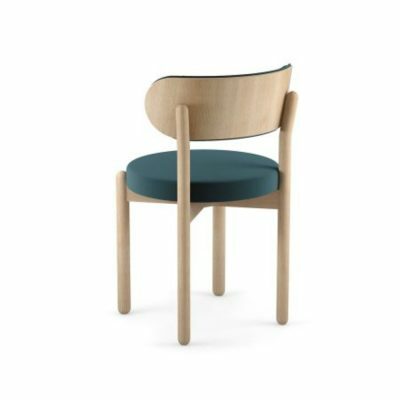 The wooden version matches up the upholstered shell with a turned beech base, making it ideally suited to a formal dining area with contemporary taste.